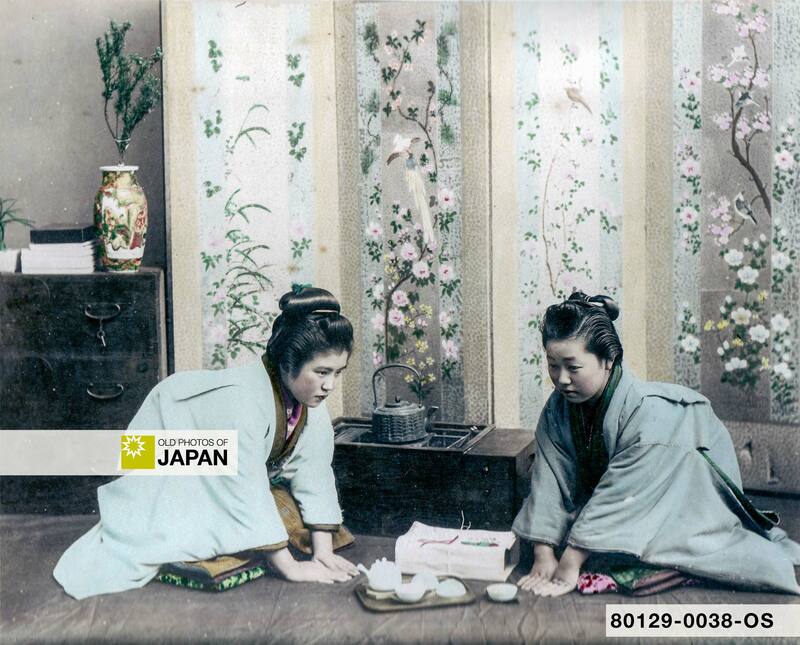 This dramatized studio photograph shows two Japanese women greeting each other while seated on zabuton (座布団) cushions. They perform a senrei (浅礼) bow by placing their hands on the floor in front of them. This bow usually involves a 30° bow. Usually, the gaze is directed at the floor, but the photographer may have wanted to show the models’ faces. Notice the present in between the two women. Bowing probably entered Japan with the ‘official’ introduction of Buddhism sometime during the Asuka (538 to 710) and Nara periods (710–794). At that time, bowing was a reflection of status. But over the centuries it became an integral part of daily life, expressing respect, appreciation or apologies. There are sitting and standing bows, and different bows for different occasions. Basically, the standing bows shown below can also be performed while sitting on the floor in a traditional Japanese manner. However, never while sitting on a chair. 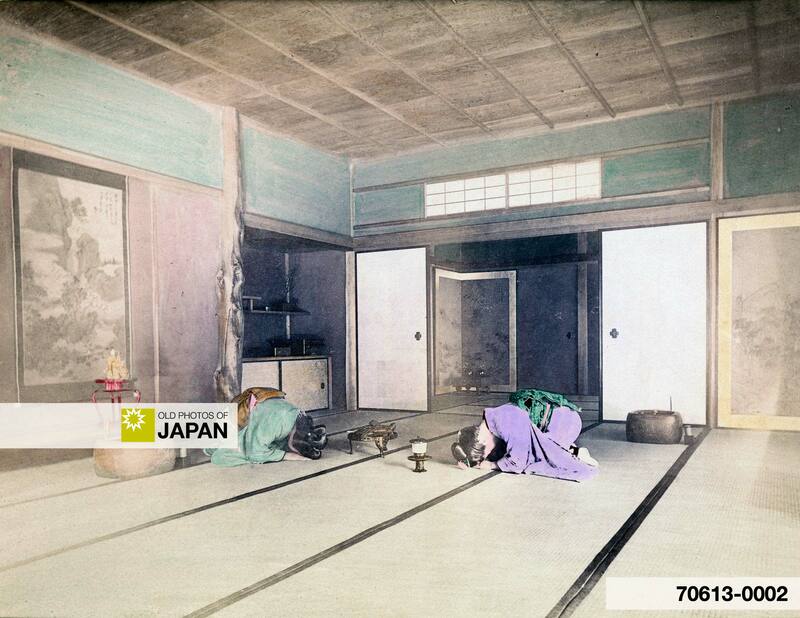 Personnel welcomes an arriving customer at a Ryokan (Japanese inn) by sitting on the floor and bowing deeply, ca. 1880s. 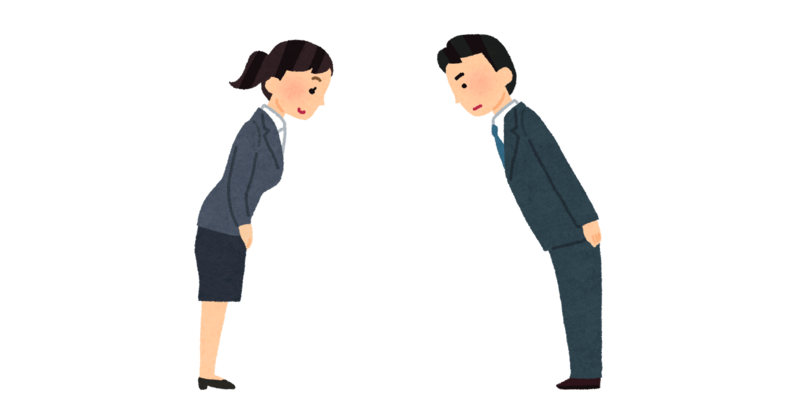 The eshaku (会釈) is a 15° bow performed with people of equal business or social rank. 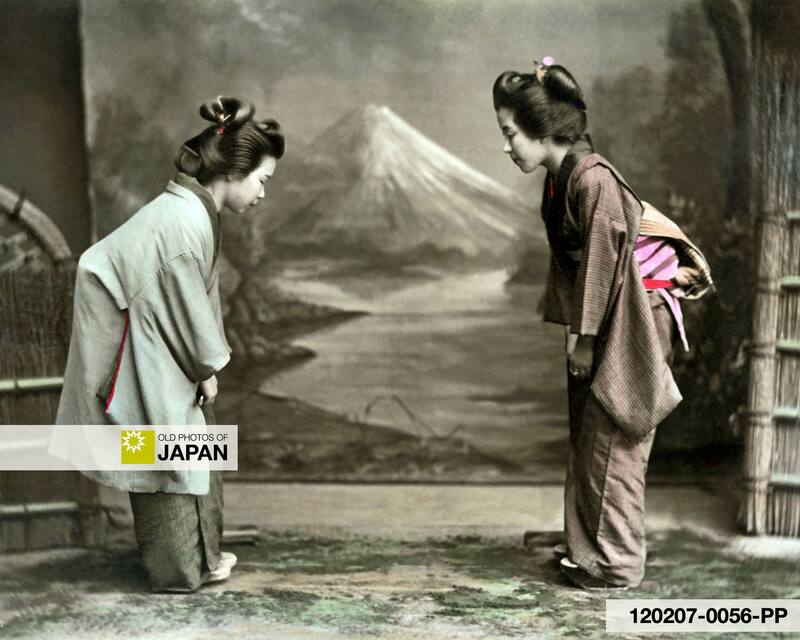 Two women wearing kimono, geta and traditional hairstyles bow to each other at a set in a studio, ca. 1890s. 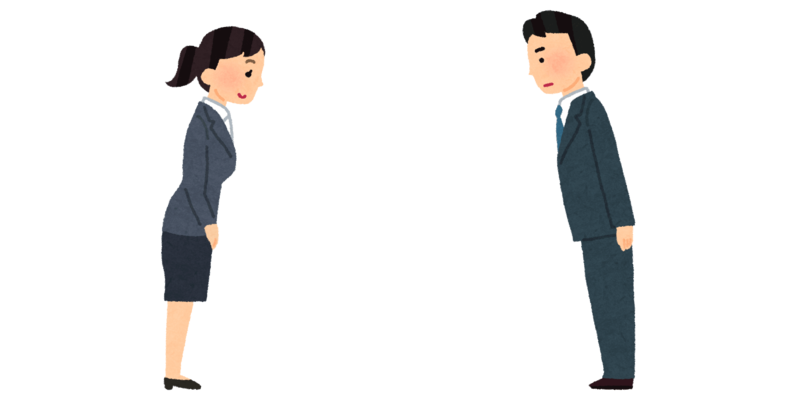 A futsuurei (普通礼) or keirei (敬礼) is a 30~45° bow used with higher-ranking people, or people you must give extra respect, like in-laws or teachers. 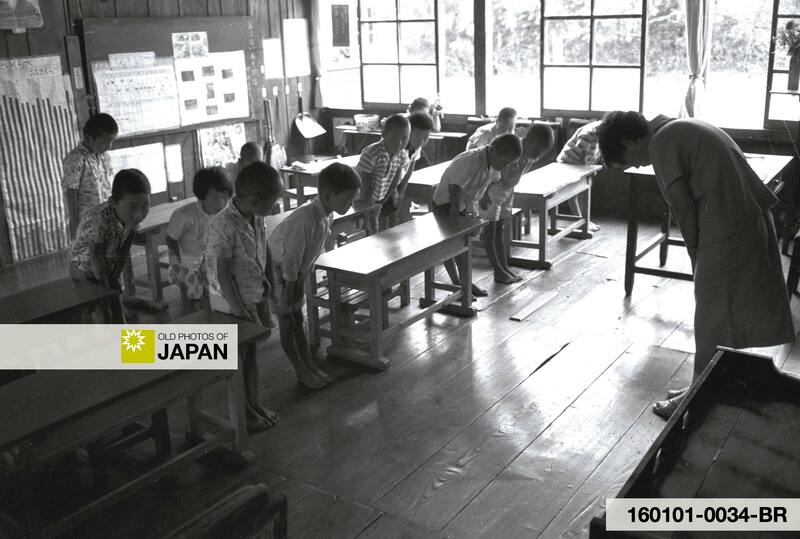 Children and a teacher bow to each other as class begins at an elementary school near Tokyo, 1960 (Showa 35). Photo by IJsbrand Rogge. 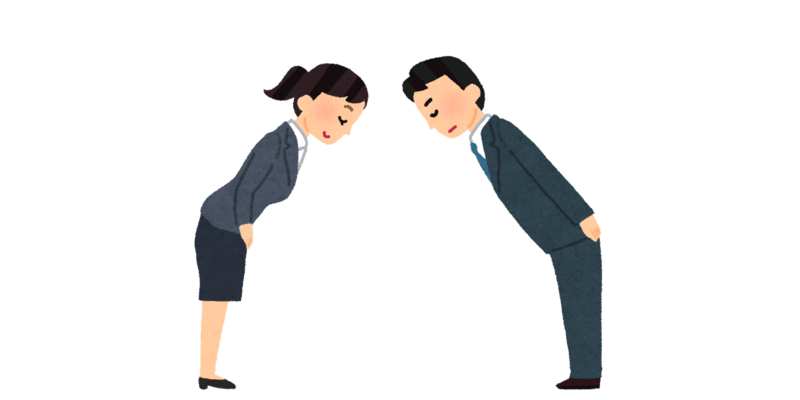 A saikeirei (最敬礼) is a 45~70° bow that shows especially deep respect or regret. During the Edo Period (1603~1868), servants would perform this bow for their feudal daimyou lords. 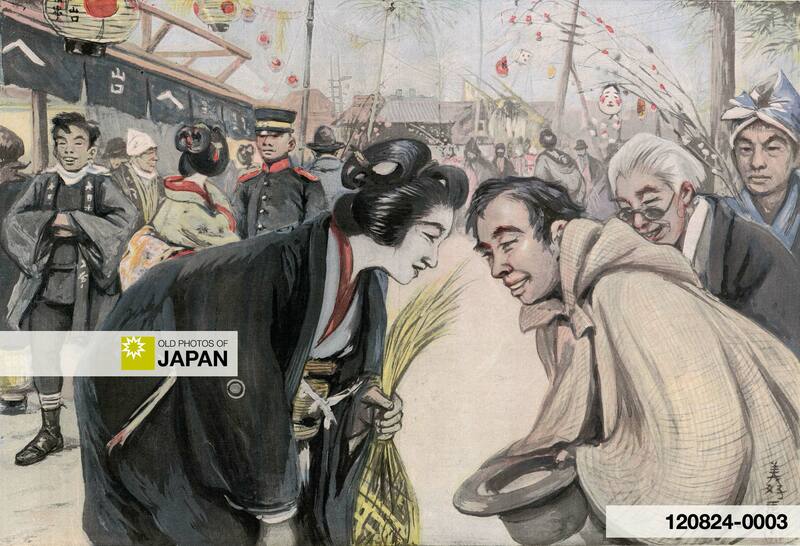 People greeting on the street during New Year, 1904 (Meiji 37). Art by French artist Georges Ferdinand Bigot (1860-1927). The deepest bow is the dogeza (土下座). It is a seated bow with the forehead virtually (or actually) on the floor. This is especially performed when the person has done something deeply disgraceful. These days you see this bow mainly in movies and TV series. It is occasionally also performed by company directors or government officials when faulty products or negligence have resulted in deaths or disease, or by people asking for extremely special favors. Old photos suggest this bow was also often used as a regular greeting. Two women greeting each other with an extremely deep bow, ca. 1890s. You can also licence this image online: 80129-0038 @ MeijiShowa.com.